Venture Farm in southern Maine is located on 52 acres of picturesque land, with state-of-the-art paddocks, two arenas, and a fully equipped barn. Venture Farm offers individualized attention for both horses and riders, ensuring a healthy and enjoyable equestrian experience. The facilities at Venture Farm ensure that horses are safe, comfortable, and well cared for. In the fully insulated barn, horses are kept in rubber-matted, 10-by-12-foot stalls, each with an individual window to let in plenty of light and air. An emergency generator ensures that horses are never without light and access to water, and barn temperature remains at a level that prevents water buckets from freezing. All horses are turned out every day to give them fresh air and the enjoyment of movement and open space. Venture Farm has many turnout paddocks in a variety of sizes, allowing horses privacy and socialization, as appropriate. Mounted on their own horses boarded at Venture Farm, riders enjoy a variety of options for lessons. A 70-by-150-foot indoor arena adjoins the barn, and it provides great footing as well as light, warmth, and a fully heated tack room and viewing area. When conditions allow, the 100-by-200-foot outdoor arena provides more space. Riders of all levels enjoy the expert instruction of Ginger Klingenstein-Albert. 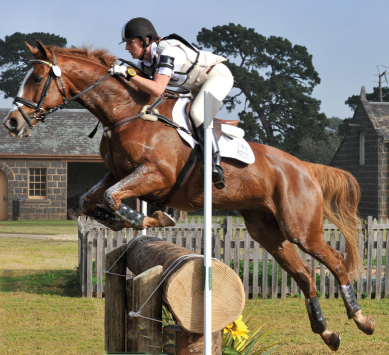 She has taught riding for many years, and her extensive resume includes many championships won in competition, as well as championships won by her students. In addition to riding lessons, Ms. Klingenstein-Albert also offers purchase consulting, riding clinics, and horse training. Ms. Klingenstein-Albert lives on-site with her husband, co-owner Mike Albert. Together, they manage all aspects of the facility's day-to-day operations and are committed to the comfort and well-being of both horses and riders.